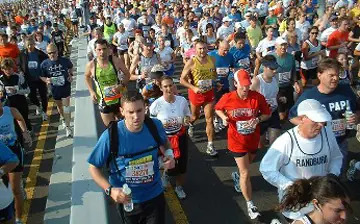 Looking for the perfect race to do in 2013? Look no further. From sprints to long-course triathlons, these 10 events will not disappoint. Why limit yourself to just one? 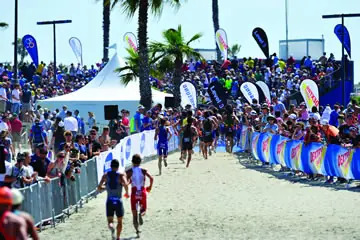 Start the year with the world's top triathletes in sunny San Diego and work your way across some of the most scenic spots in the U.S. This spring triathletes from all over the world will return to the birthplace of tri. Join the excitement and kick off your season at a world class event. Not only will the elite race inpsire, but you'll also get to race in the same venue as the pros. Put on by the IM ABLE Foundation, this sprint triathlon was created to give athletes of all abilities a chance to participate in an encouraging environment. This inspiring event offers individual, team and disabled athlete categories. Looking for a festive finish line? New Orleans is the place for you. Part of the 5150 series, this inaugural olympic-distance tri is held in conjuction with the Big Easy Sprint. Set in the Land of 10,000 Lakes, the Buffalo Triathlon is a must-do for any Midwest triathlete. From Sturges Park, athletes will swim in Buffalo Lake and bike and run through rolling farmland. Test your talents against the Mile High City then kick back and celebrate in this hip Rocky Mountain town. Choose from sprint, Olympic, paratriathlon or relay and be prepared for two transitions. You don't have to be an Ironman to race in Coeur d'Alene. This sprint-distance triathlon is fun for everyone. Beginners can test the triathlon waters and veterans can test their speed. The setting is so scenic, you might not even notice the hills. Challenge yourself to the Udder Half or stick to the sprint-distance Udder Calf. Either way, you can't go wrong at a Midwest race whose motto is "Come for the race. Stay for the weekend!" If you're going to put an Ironman 70.3 on your list, this should be it. Challenging terrain and rewarding views of the White Mountains will excite any triathlete. While nearby camping, hiking and zip lining makes this event fun for the whole family. Croton Point Park Beach is the setting for this long-course triathlon. Swim 1.2 miles in a protected cove of the Hudson River, enjoy a closed, 56-mile bike course, and run a challenging 13.1 miles that takes you up to the Old Croton Aqueduct. Then kick back and enjoy the finish line barbecue. Don't forget to sign your kids up for the TOUGHKids race on Saturday. Take your racing fitness straight into fall at this scenic Southwest event. Ideal water temps and wide open space help provide a positive experience to wrap up the race season. And with five courses to choose from, there really is a distance for everyone.